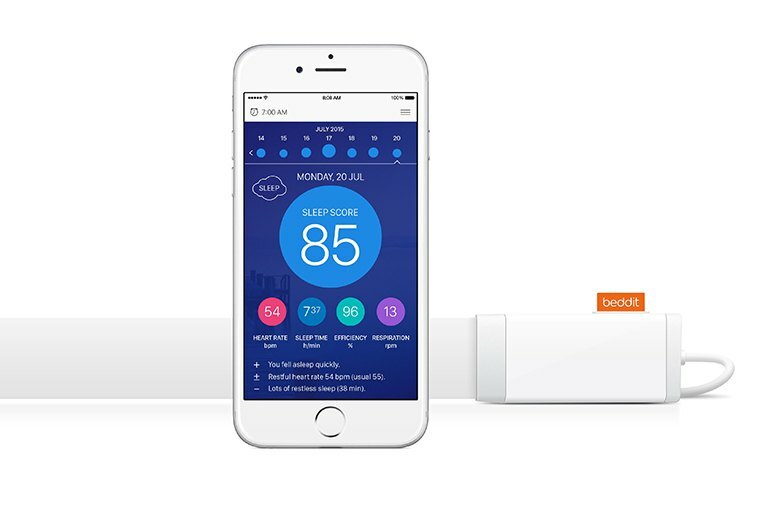 The Beddit Smart Sleep Tracker is completely hands off. You don't need to turn it on or launch the app at bedtime. 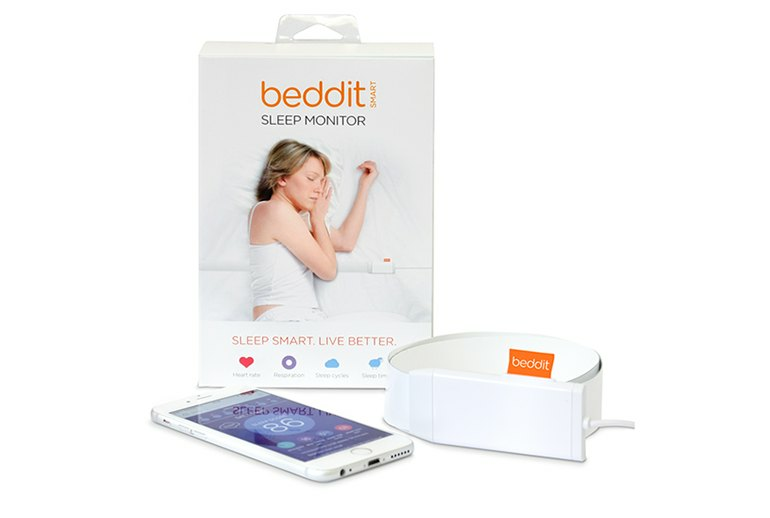 Beddit senses when you get in bed and when you get up in the morning. 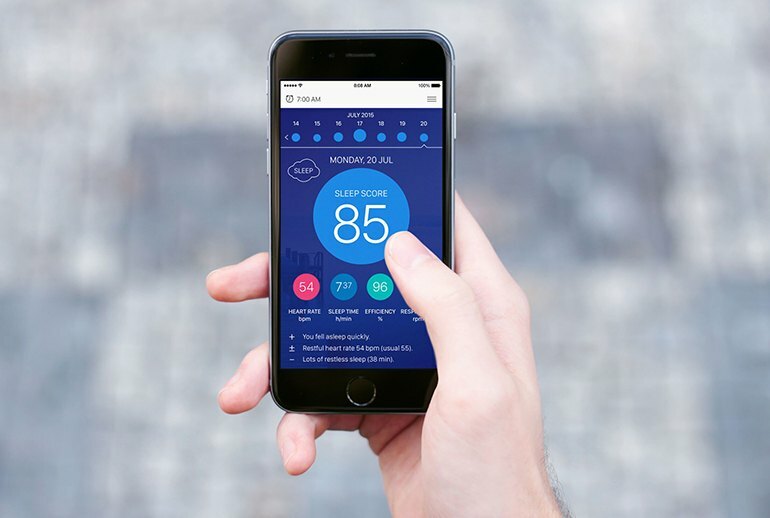 You get details like heart rate, snoring, and sleep cycle graphs, as well as a sleep score that measures your overall restfulness. There's nothing to wear. 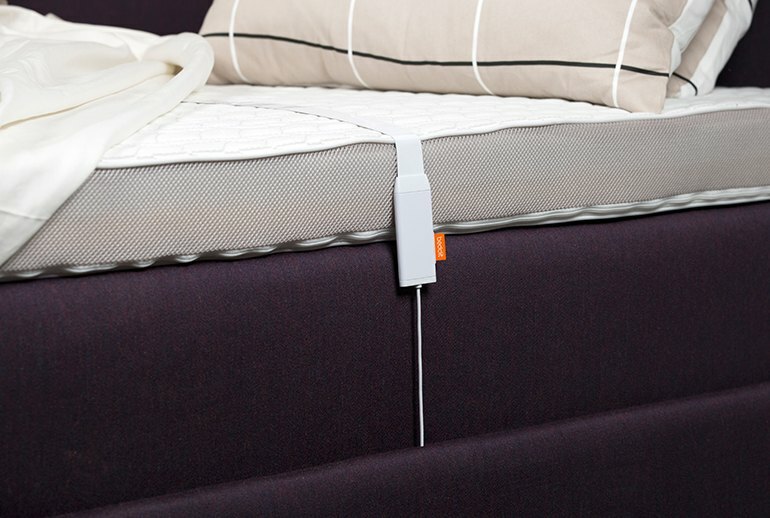 It attaches to your mattress, under the sheet. 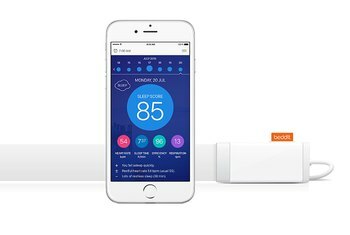 The sensor can't tell if you're trying to sleep or just in bed reading, so your score may not always be accurate. The data and recommendations could be more actionable; it can sometimes feel like there's no way to apply Beddit's analysis. Beddit is semi-permanent thanks to the need to adhere to the mattress. 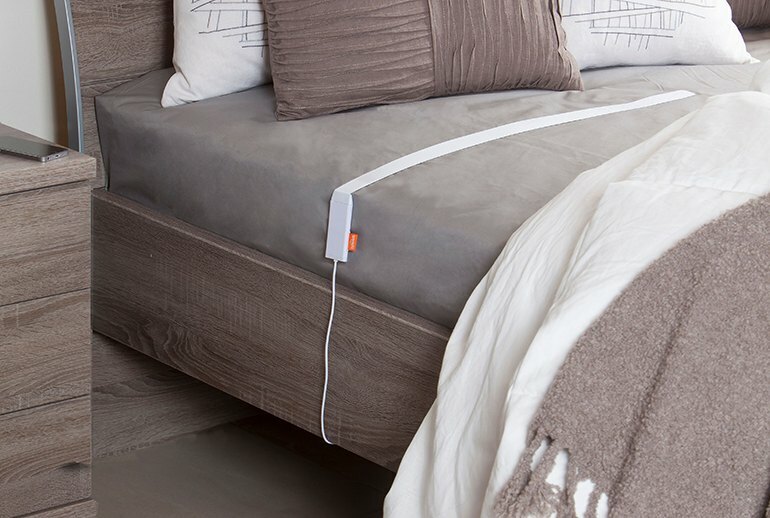 Beddit is a dedicated sleep monitor that consists of an adhesive sensor strip that lies under your bed sheet and a smartphone app that collects data while you sleep. It is completely automatic, starting when you get into bed and stopping when you get up in the morning. 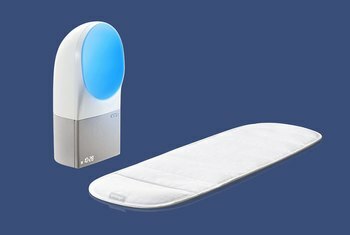 It provides rich details about your sleep patterns (including your heart rate and REM periods) and can even wake you during your most shallow sleep via the app's optional alarm mode. 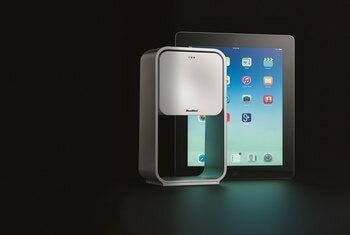 Be aware that there are several similar versions of Beddit, including a "Classic" edition, which needs to be manually started and stopped, as well as one sold under the Misfit brand name. The heart rate monitor is very interesting to me. Days I exercise, I notice my heart rate starts lower and stays more consistent over night and I get my best rest - this is encouraging me to work out more. 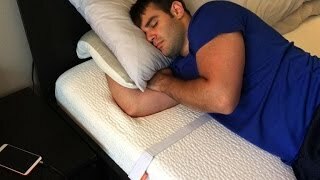 There's a strong adhesive strip that's used to stick the Beddit to the mattress, which means people who turn their mattress regularly will have to use their own double-sided tape to stick the Beddit back down which is a bit annoying. You'll need it to be strongly secured, too, because if you tend to move around in the night and the Beddit moves with you you're unlikely to get an accurate reading. 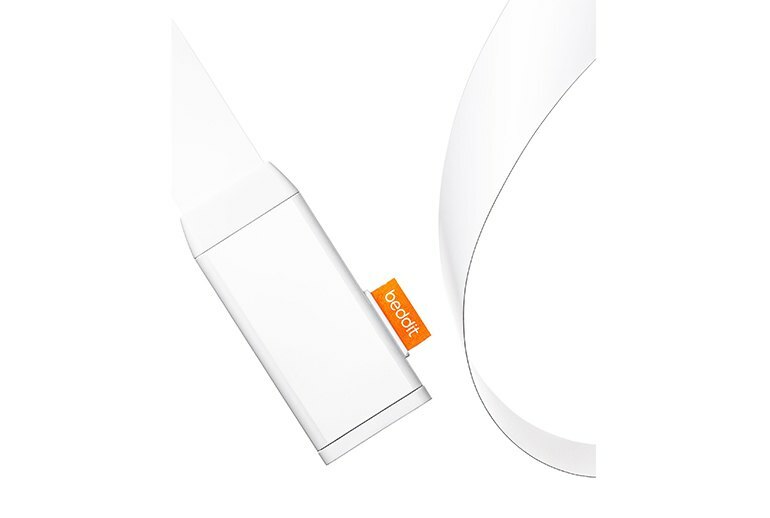 I had read a few reviews in the past where correct positioning of the Beddit sensor strip was a challenge. Maybe I got lucky and maybe I don’t move around that much in my sleep, but I positioned it correctly the first time and after a full month of using it, I haven’t had a single glitch. What is a problem is that Beddit needs your phone to be on and active. If you slip your phone into airplane mode at night like I do, Beddit won’t be able to communicate with the hub. But alas, I’m faced with the same conundrum I’ve always been faced with when it comes to sleep trackers: I’ve got the data but that doesn’t necessarily make me actionable. Though, it would seem that the tips provided in the Beddit app are designed to supplant that. The company needs to do a better job of explaining what to do with the data. But I found having the exact sleep numbers available gave me milestones to aim for, like an activity tracker telling me I needed 1,000 more steps to reach my daily 10,000-step goal. So now I know that getting to bed just 30 to 60 minutes earlier could help. 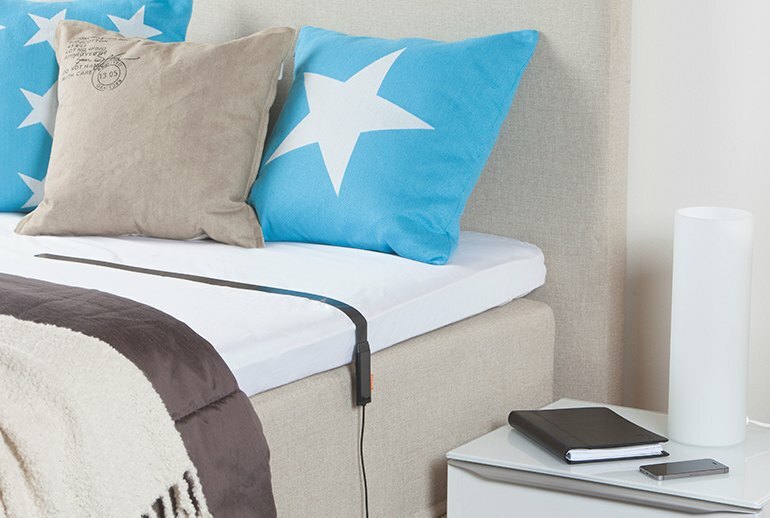 If you travel often and want to track sleep wherever you roam, Beddit isn't the device for you. It would be too easy to forget you placed it under a hotel's mattress sheet, for one thing. 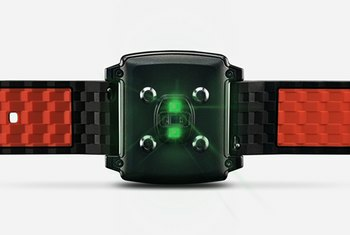 If you're on the go a lot, a wearable tracker makes more sense. 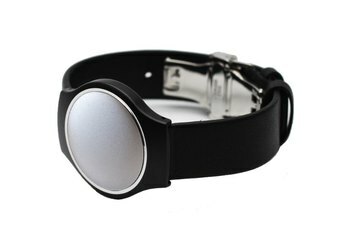 The sensor will only track the data from the primary weight laying on the device, meaning if your dog or baby hops into bed with you during the night, your data will remain accurate.